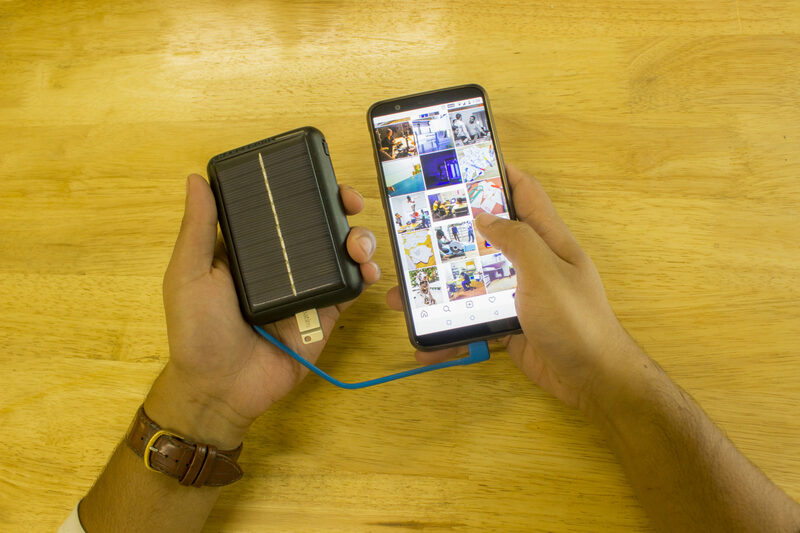 Your personal smart charger simultaneously charges itself and two other devices, and its intelligent disconnect feature stops charging your devices when they are fully charged in order to avoid overcharging. Never wrestle with battery life. Get ChargePool. Is your device out of battery but your friend’s isn’t? Connect both phones to ChargePool and it will use your friend’s phone battery to charge your phone. 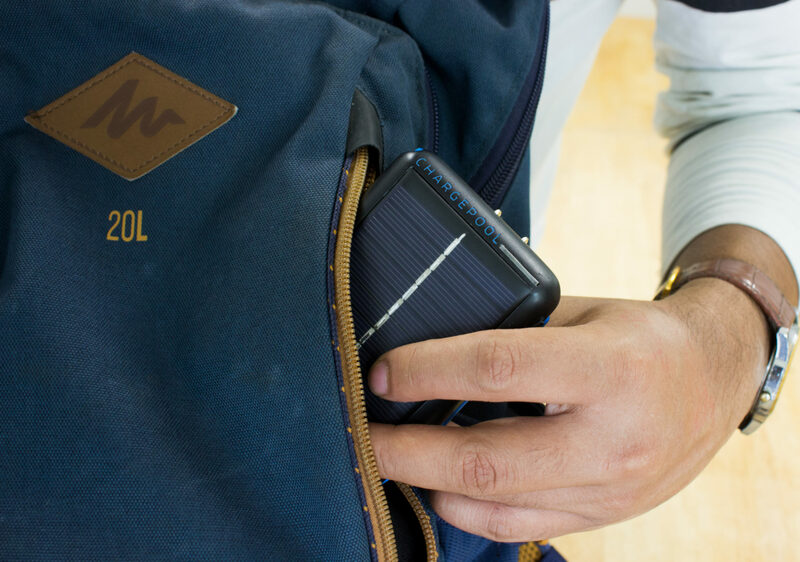 ChargePool’s solar panel allows you to charge the internal 5,200mAh power bank, and your devices, when there isn’t an outlet in sight. 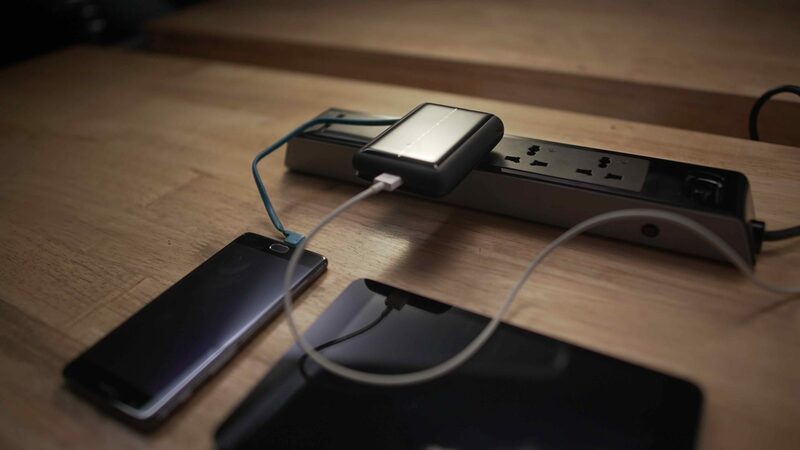 Who wouldn’t want a charger that charges multiple devices at lightning speed? This fast charging feature simultaneously charges ChargePool’s internal 5,200mAh battery and your devices when plugged into a wall outlet. 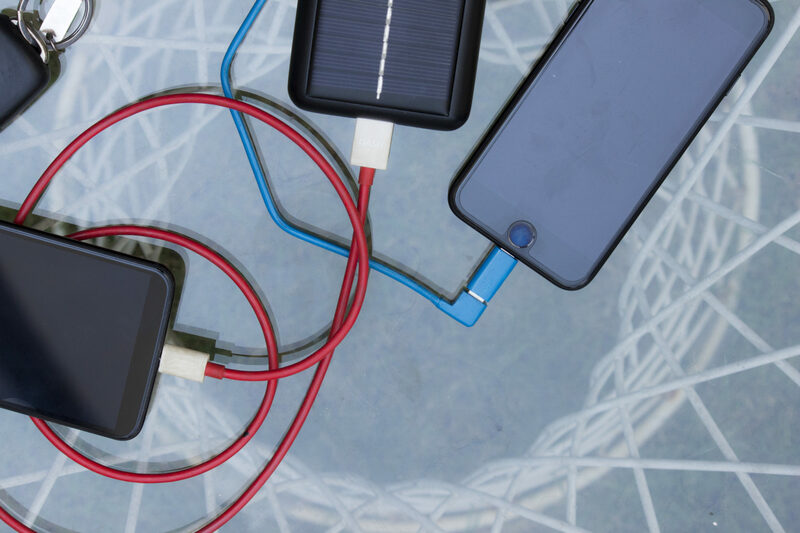 With a capacity of 5,200mAh, ChargePool can fully charge your two mobile devices (and itself) up to three times on a single charge. When a device reaches a full charge, ChargePool will disconnect from that device to avoid overcharging. 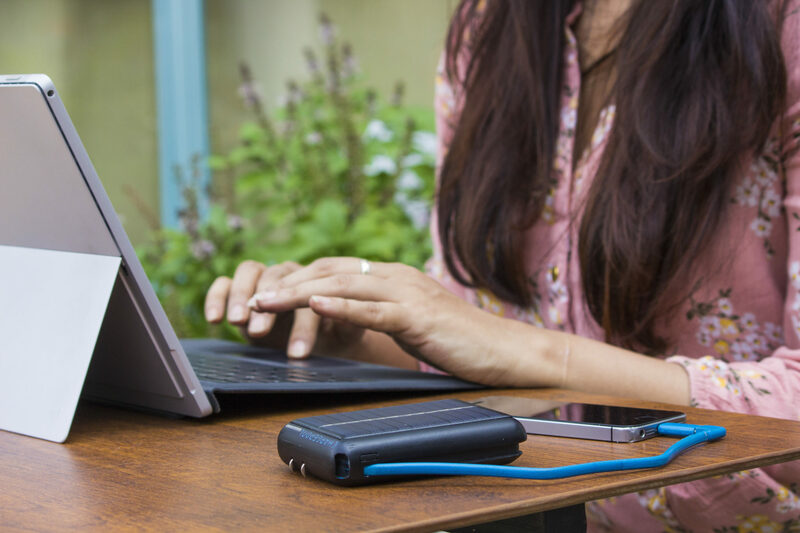 ChargePool’s built-in USB-C cable truly makes it an all-in-one device. 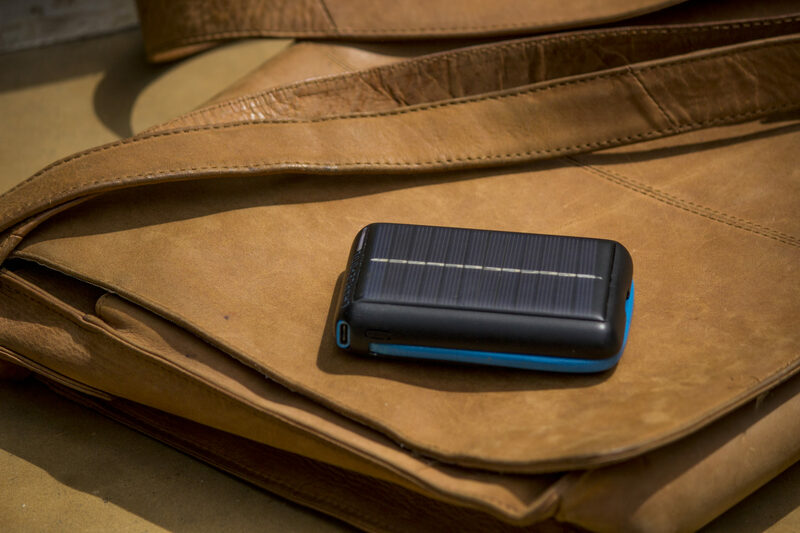 Forget carrying your charging cables around when you have ChargePool in your pocket. Additionally, ChargePool has a built-in USB-C to lightning converter for your convenience. Charge all of your devices via ChargePool’s USB port and even access USB drives, external hard drives and internal memory cards, at lightning fast speeds, using ChargePool.